The 2015 spring concert features The More Things Change, a world premiere work by choreographer Uri Sands honoring Marian Anderson, the celebrated American contralto who was breaking barriers for African-American artists decades before the civil rights movement. The program also features favorites from the company’s repertory, including the reprise of an audience favorite, For You (2007), centered on the experience of an intense rapport between the performers, a gracious host and a surprise guest who enters a space of trust and generosity. 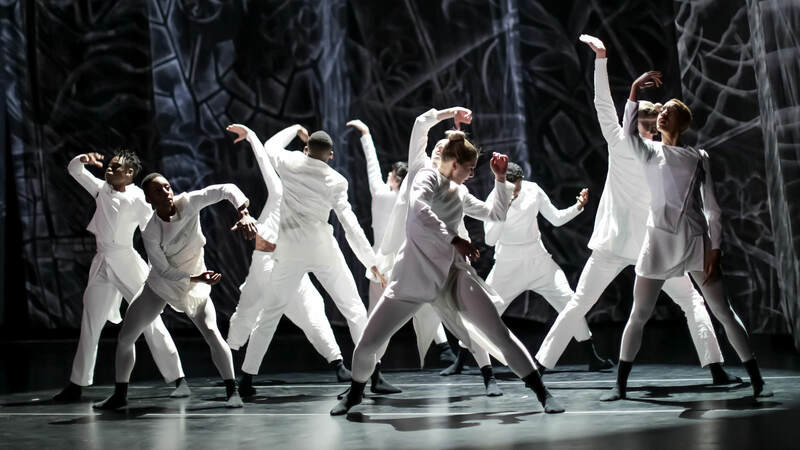 In Keep the Edges Wild (2013), New York choreographer Gregory Dolbashian conveys a fluid vision of urban life– a signature hybrid of hip-hop and contemporary movement which is “distinct and highly relevant for the 21st century” (Caroline Palmer, StarTribune). Uri Sands’ full-company work, Hikari (2014), rounds out the program. Originally commissioned by the Ordway Center for its TU Dance 10th anniversary concert, Hikari is an immersive exploration of light, created in collaboration with print artist Hiroki Morinoue. Join the company for a free in-studio preview including excerpts from the new work, April 2 from 5-6:30pm at TU Dance Center. Click here for information. 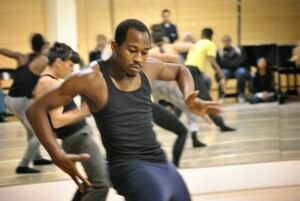 TU Dance Center is located at 2121 University Avenue West, Saint Paul, Minnesota 55114. Find us on the north side of University Avenue, one block east of Vandalia, located directly behind Subway on the building’s east side. (Free parking in the lot in front of TU Dance Center). In his world premiere work, The More Things Change, choreographer Uri Sands explores the incremental, underlying flux of civil rights progress, reflecting on contemporary themes and inspired by contralto Marian Anderson’s 1939 open-air concert on the steps of the Lincoln Memorial. After having been refused permission to perform at Constitution Hall, Anderson’s iconic Easter concert, performed for 75,000 and broadcast to millions via radio, broke barriers for African-American artists decades before the civil rights movement. 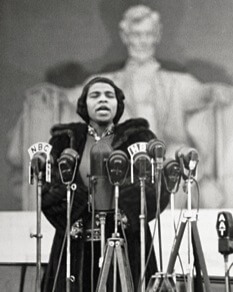 Click here for a PBS NewsHour segment on Marian Anderson. TU Dance company member Elayna Waxse will guide students ages 10-18 in this five-day workshop. This workshop will serve as both an introduction to pointe for ballet students new to pointe work, as well as a refresher for intermediate pointe students. The workshop will consist of ballet and pointe technique, instruction on sewing pointe shoes, foot and toenail care for pointe shoes, and strengthening skills that can be practiced outside of class to help students progress in their training. At least three years of prior ballet experience is required. Students must bring their own pointe shoes. Originally from Overland Park, KS, Elayna Waxse has danced professionally with Minnesota Dance Theatre, Colorado Ballet, Black Label Movement, and TU Dance. She has taught ballet and pointe classes for the past nine years at TU Dance Center and Minnesota Dance Theatre & the Dance Institute, among other schools. Elayna brings her expertise from her early training at Kansas City Ballet School and Pacific Northwest Ballet School, and from her professional career dancing multiple classical and neo-classical repertoire on pointe.